Passion fruit with a strawberry swirl. Pineapple, coconut and mango purée. Sautéed with garlic butter and spicy teriyaki sauce. Onions, seaweed salad, sweet soy sauce, cucumber and lemon. Yellowtail*, jalapeño, cilantro and chili ponzu sauce. Crunchy sesame rice balls, jalapeño, cilantro, drizzled with soy chili sauce. Seared sashimi grade tuna served with ponzu sauce. Tempura soft shell crabs, momiji, scallion and ponzu sauce. 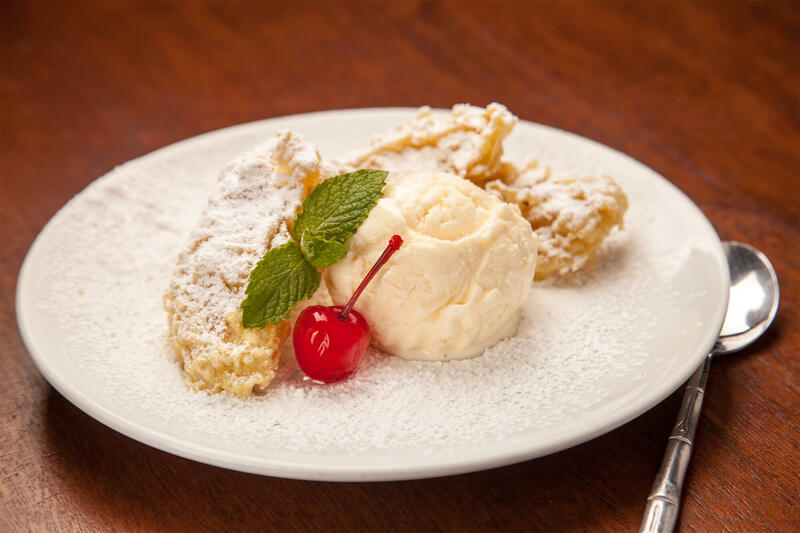 Hint of butter and lemon served with our homemade ginger sauce. Crunchy tempura shrimp, carrot, asparagus and onion. Tuna*, salmon*, snapper*, yellowtail* and shrimp nigiri. Bell pepper, onion, asparagus, carrot and shiitake mushroom. A combination of chili peppers, ginger and Sriracha sauce. The original Benihana classic. Grilled chicken, rice, egg and chopped vegetables with garlic flavored butter. Crisp greens, red cabbage, carrots and grape tomatoes in a homemade tangy ginger dressing. A delicious blend of miso, green onion and tofu. 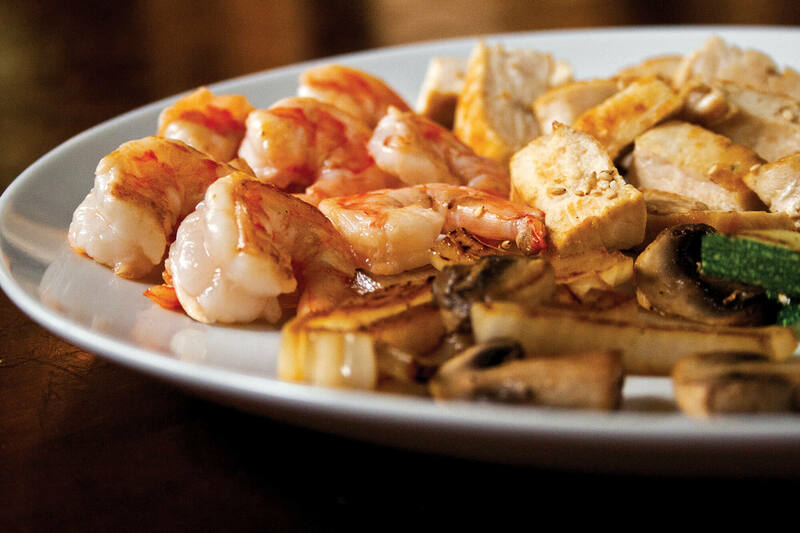 This homemade Benihana specialty has been a favorite since 1964. 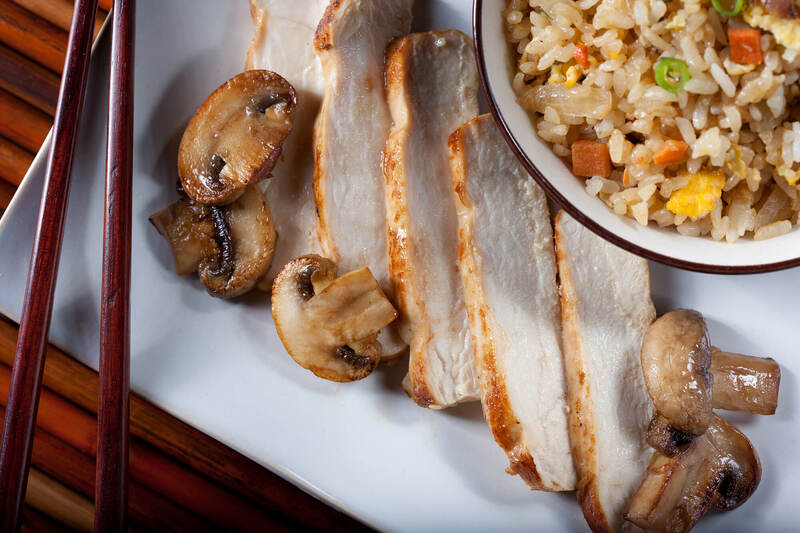 Hibachi Chicken RiceThe original Benihana classic. Grilled chicken, rice, egg and chopped vegetables with garlic flavored butter. Lobster tempura, crab†, cucumber, romaine lettuce. Comes with one Lobster Roll and two Lobster Hand Rolls. Salmon, avocado, cream cheese, jalapeño, spicy sauce on top. Crab†, cream cheese and seaweed tempura in a spicy chili sauce, topped with spicy crab† and shrimp. 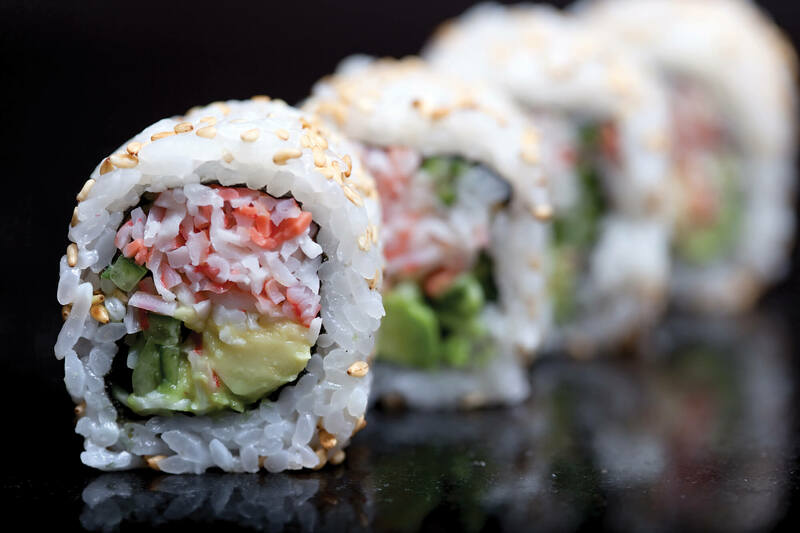 Crab†, avocado, cucumber, shrimp tempura, salmon, smelt roe, special mayo sauce. Tuna*, shrimp, yellowtail*, izumidai*, salmon*, crab†, avocado, cucumber. Shrimp tempura, avocado, cucumber, crab†, tempura crumbs. Salmon*, cream cheese, cucumber, avocado. Green leaf, avocado, cucumber, red cabbage, yamagobo. Crab†, avocado, shrimp tempura, shrimp, cucumber. Served with Benihana salad and miso soup. An assortment of sushi and sashimi served with steamed rice. An assortment of fresh sashimi served with steamed rice. 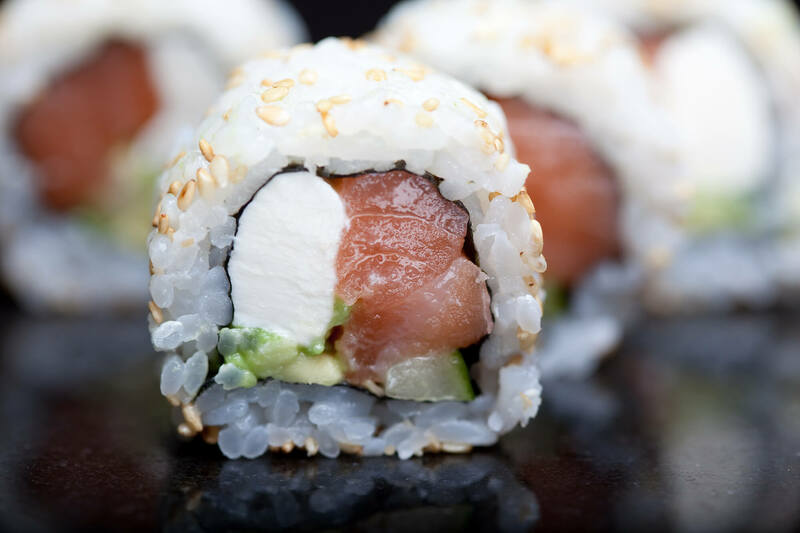 One Tuna* Roll with an assortment of fresh nigiri. California† Roll with an assortment of fresh nigiri. Chicken breast and mushrooms grilled with butter and sesame seeds. Hibachi shrimp grilled to perfection. 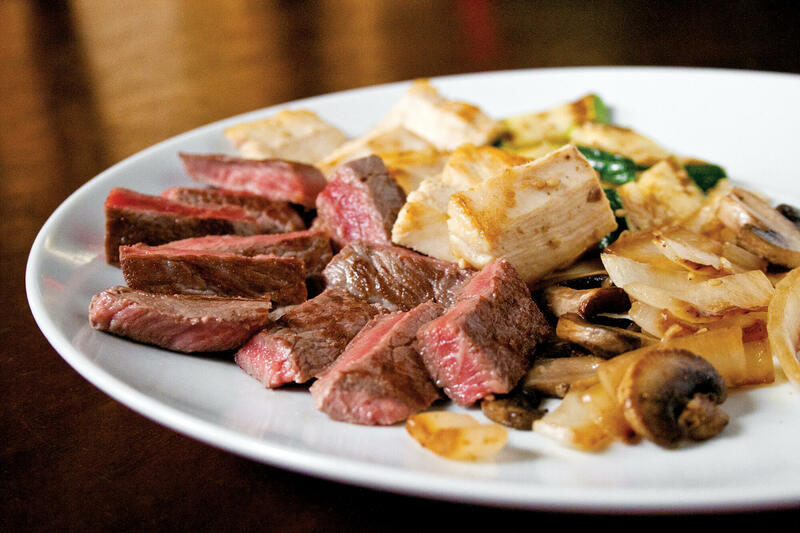 New York strip steak* and mushrooms hibachi grilled to your specification. Tenderloin* and mushrooms lightly seasoned and grilled. Emperor’s FeastTenderloin* and chicken breast grilled to perfection. 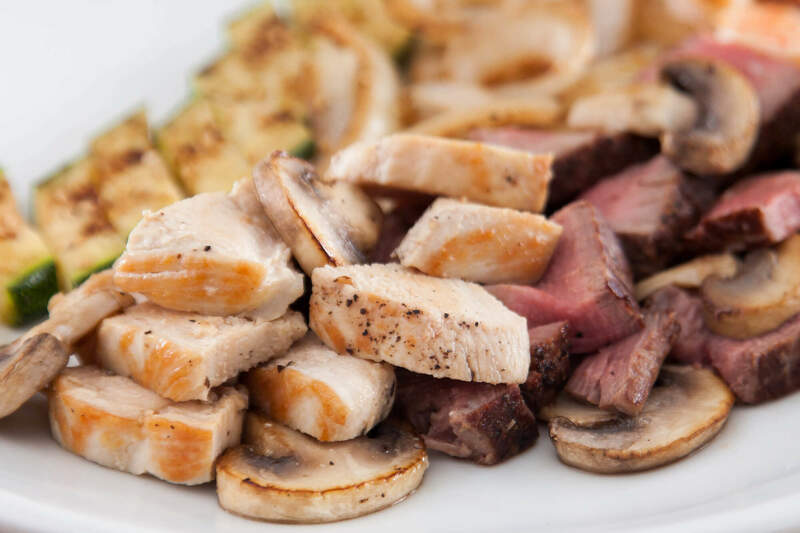 Rocky’s ChoiceHibachi steak* and chicken breast grilled to your specification. Benihana DelightChicken breast and colossal shrimp lightly seasoned and grilled. 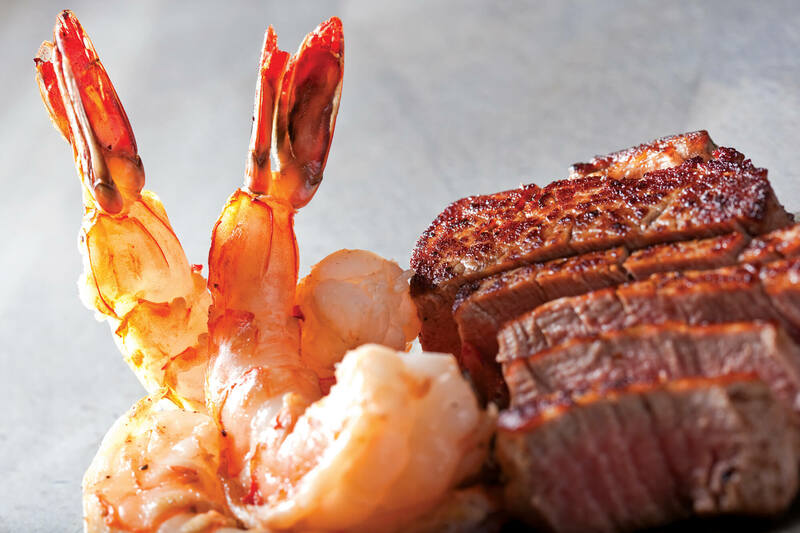 Splash ‘n MeadowHibachi steak* and colossal shrimp lightly seasoned and grilled to your specification. 12 ounces | 24 ounces. A combination of chili peppers, ginger and Sriracha sauce. 12 ounces | 24 ounces. The original Benihana classic. Grilled chicken, rice, egg and chopped vegetables with garlic flavored butter. * We are required by the Health Department to inform you that consuming raw or undercooked meats, poultry, seafood, shellfish or eggs may increase your risk of foodborne illness, especially if you have certain medical conditions. † Kani kama crab & kani kama crab mix contain imitation crab.